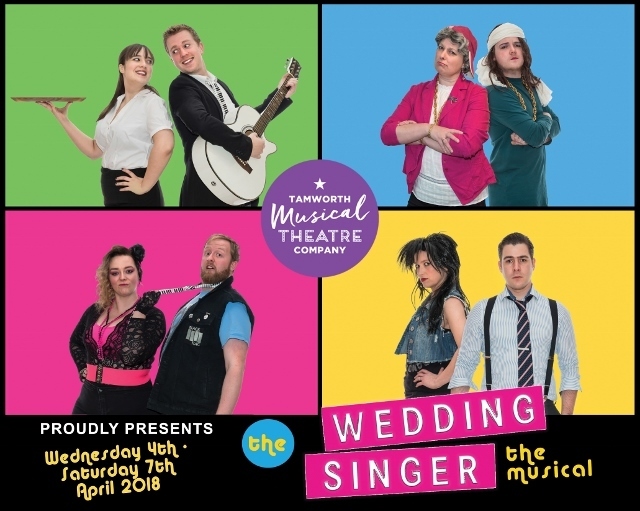 Get ready to party like it's 1985 when the classic musical comedy The Wedding Singer is performed in Tamworth at the beginning of April. Tamworth Musical Theatre Company (formerly known as Tamworth Arts Club) presents this hit production set more than 30 years ago when hair is huge, greed is good and rock-star wannabe Robbie Hart is New Jersey's favourite wedding singer. He's the life of the party, until his own fiancée leaves him at the altar. Shot through the heart, Robbie sets out to make every wedding as disastrous as his own - until, that is, he meets a naïve waitress called Julia who wins his affection. Only trouble is Julia is about to be married to a Wall Street shark, leaving Robbie determined to pull off the performance of a decade and win the girl of his dreams. This romantic musical pays, which pays loving homage to the pop songs of the 1980s, is guaranteed to get audiences singing along and joining in the party when The Wedding Singer is performed at Landau Forte Academy Theatre from April 4 to April 7. Tamworth Borough Council's Arts and Events team have been working hard to create a new and varied line up of shows and acts for Tamworth families and visitors to enjoy over the coming months and while the town's historic Assembly Rooms theatre undergoes a major refurbishment. This includes more Assembly Rooms on Tour, taking some of the theatre's favourite performers out into community locations, such as Landau Forte Academy, and popular seasonal outdoor events. 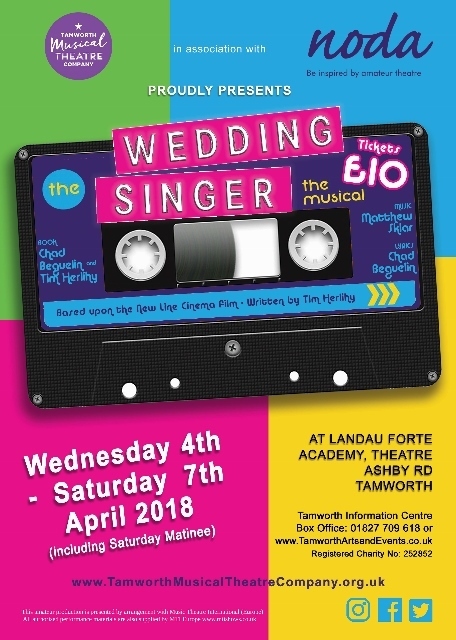 Councillor Robert Pritchard, Deputy Leader of Tamworth Borough Council, said: "The Wedding Singer is a popular musical, a big hit with all 80's pop music lovers. I know that Tamworth Musical Theatre Company will provide audiences with an energetic and fun show." Tickets to see The Wedding Singer are priced at £10, with doors opening at 6.30pm for a 7.30pm start. A matinee performance will also be shown on Saturday 7 April when doors open at 2pm for a 2.30pm start. Please note that there is a £1 transaction fee for phone and online orders. Audiences booking in groups can take advantage of a special offer of 10 per cent off when buying 10 tickets. Full information on the event, including ticket details, is available online at: www.tamworthartsandevents.co.uk, or by calling the Box Office on 01827 709618.